Want to delve deeply into the riches of the Bible? How do you know what is authoritative and reliable information and what is just the author’s opinion? 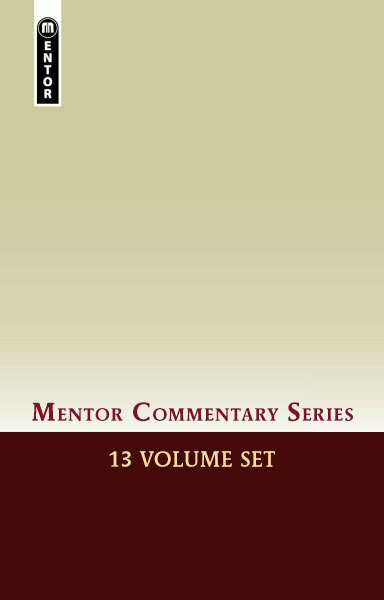 The Mentor Commentaries were conceived with the notion that an academic commentary could also hold to an inerrant view of Scripture. One of Mentor’s key aims is to build up a library of credible commentaries to give users an option for a solidly grounded study of the Scriptures. Although readers have many choices available to them when it comes to the most recent scholarship, Mentor commentaries incorporate the latest theological research while refuting some of the wilder departures from orthodoxy found in other commentaries.